2017 is an important year for the Church since it celebrates its 200th anniversary. This was commemorated on Sunday 2nd July 2017 with a special service, followed by a fabulous Sunday tea, with delicious sandwiches, pastries and, most important of all, fantastic cakes. 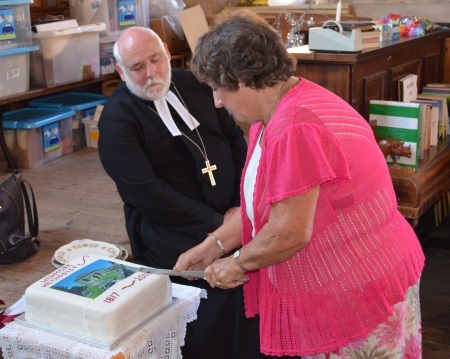 The service was a true celebration of the role that Methodism has played within the village, with the address by Rev Dr Jonathan Pye, Chairman of the Bristol District of the Methodist Church focusing on the theme of "Who Do You Think You Are?" and the importance of the role of the individual within the past, present and future. This was reinforced by a fantastic display of photographs and other memorabilia of the last 200 years of the chapel. "A member of this chapel for 62 years". John was also a former lay minister of the chapel. It may also be that John was responsible for producing many gravestones since he was a stone mason by trade. Kelly's Trade Directory 1883 for Somersetshire & Bristol lists John LARDER in Wedmore as Stone Mason living Chapel House. 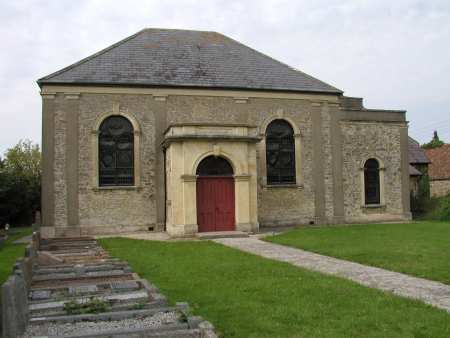 In 1896, together with other members of the chapel, he built the Wesleyan Sunday School Room that was opened on Friday April 10 1896 by the Reverend Walford Green. The chapel graveyard is a veritable "who's who" of Wedmore family names and I have listed the entries on the gravestones.